Most of our portfolios have larger exposures to at least two of the following four sectors—Financials, Industrials, Information Technology, and Materials, giving them a distinctly cyclical tilt. So far in 2019, we’ve been very pleased to see many of these cyclical stocks bounce back, along with most of the small-cap market, as stocks have enjoyed a vibrant and welcome rally through the year’s first quarter after the dramatic downturn at the end of 2018. Through the end of February, four of the five top-performing sectors in the Russell 2000 Index were cyclicals. Machinery has been among the sector’s best-performing industry groups so far in 2019. It’s also an industry that regularly attracts our attention, with the result that many of our portfolios have large weightings in this group. What is it that we like so much about machinery stocks, in addition to their benchmark-beating results so far in 2019? While each of our portfolio managers could give detailed reasons on a company-by-company basis, there are also some common features across our small-cap strategies that help make the group a near-perennial area of interest. We can often find machinery companies that have a dominant niche in their space that at the same time is not overly capital intensive, as high capital intensity could potentially leave the business more vulnerable to larger-scale, and costly, CapEx than we prefer. Their position as market leaders also frequently allows them greater pricing power, particularly when demand is high, which makes them even more attractive in our view. In addition, market leadership in a less capital intensive specialty often results in these companies having high returns on invested capital, or ROIC. (An important quality metric for us, ROIC is the return a company makes above the average cost it pays for its debt and equity capital.) A high ROIC shows that the company is efficiently allocating capital into profitable investments—a key element in running a business with long-term sustainability. Among these market leaders, we look for businesses that also have more regularly recurring revenue streams. This usually occurs because the company manufactures consumable parts, provides related services, or makes devices or components that need to be replaced or upgraded. This makes their business cycles a little easier to predict, allowing us a better chance to take advantage of lower share prices when demand slackens before heating up again. YTD 2019’s high returns notwithstanding, many machinery stocks still sport reasonable valuations, especially when compared to the Russell 2000 as a whole, as measured by our primary metric for examining valuations, median EV/EBIT (which is the ratio of enterprise value to earnings before interest and taxes-our calculation excludes companies with no earnings). While machinery companies within the index outpaced the index as a whole through the end of February (+20.0% versus +17.0%), the chart shows that the industry’s current median EV/EBIT sits comfortably below that of the Russell 2000—which suggests ample room for further growth. Although (and in some ways because) it has grown in market cap to $5.4 billion, making it a mid-cap stock at this writing, Lincoln Electric Holdings is a wonderful historical example of the profile we like in machinery stocks. The company is the world leader in arc welding, robotic welding systems, plasma and oxyfuel cutting equipment, and brazing and soldering alloys. It’s been held in some Royce portfolios for more than 30 years. We have always seen it as a well-managed business that has innovated effectively and efficiently over the years. This allowed the firm to expand its niche and become a small-cap company with global reach. Among other actions, regularly reinvesting in its business has allowed Lincoln Electric to remain profitable through many different economic, market, and business cycles. It exemplifies in many ways the fundamental qualities that we seek, not just in machinery stocks but throughout the small-cap universe. 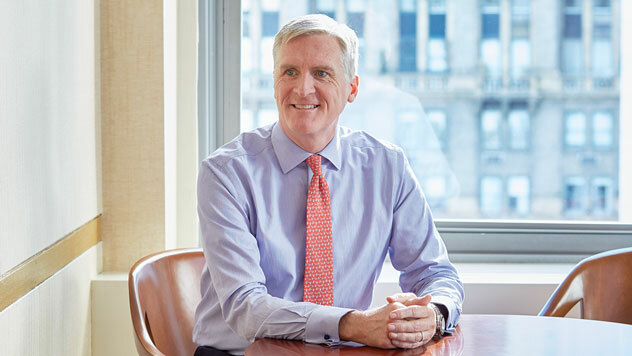 Mr. Gannon’s thoughts concerning recent market movements and future prospects for small-company stocks are solely those of Royce & Associates, LP, and, of course, there can be no assurances with respect to future small-cap market performance. The performance data and trends outlined in this video are presented for illustrative purposes only. All performance information is presented on a total return basis and reflects the reinvestment of distributions. Past performance is no guarantee of future results. Historical market trends are not necessarily indicative of future market movements. Frank Russell Company (“Russell”) is the source and owner of the trademarks, service marks and copyrights related to the Russell Indexes. Russell® is a trademark of Frank Russell Company. Neither Russell nor its licensors accept any liability for any errors or omissions in the Russell Indexes and / or Russell ratings or underlying data and no party may rely on any Russell Indexes and / or Russell ratings and / or underlying data contained in this communication. No further distribution of Russell Data is permitted without Russell’s express written consent. Russell does not promote, sponsor or endorse the content of this communication. All indexes referenced are unmanaged and capitalization-weighted. The Russell 2000 Index is an index of domestic small-cap stocks that measures the performance of the 2,000 smallest publicly traded U.S. companies in the Russell 3000 Index. The performance of an index does not represent exactly any particular investment, as you cannot invest directly in an index.